Havana (VNA) – Officials from Vietnam’s northern Son La province paid a visit to Cuba from March 25-29 to explore the possibility of cooperation with localities of the Caribbean nation. 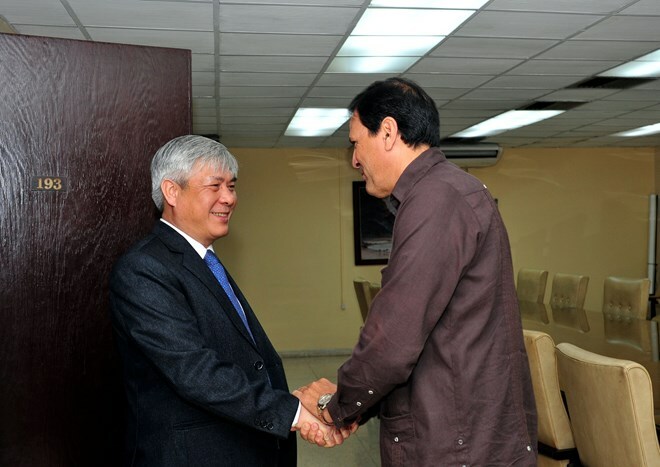 The delegation, led by Standing Vice Secretary of the provincial Party Committee Nguyen Dac Quynh, had working sessions with deputy head of the External Relations Department of the Communist Party of Cuba Central Committee Juan Carlos Marsan, and leaders of Havana capital city and Mayabeque province. At these sessions, the two sides looked back on the sound, faithful and disinterested relationship between Vietnam and Cuba, affirming that this is the sustainable foundation for the countries to step up comprehensive cooperation. They also informed each other about their countries’ recent socio-economic achievements and difficulties, as well as the situation of the two respective regions. Cuban officials introduced the roles and development potential of Havana, which turns 500 this year, and Mayabeque – one of the first two Cuba provinces piloting a new administrative management model with high budget autonomy.